Shares in the Australian market were seen climbing to a two-month high due to the positive gains in the energy and mining sector. The Australian S&P/ASX200 index was seen closing above 5,000 points, first time since May 23. Meanwhile, In China, the People’s Bank of China (PBoC) announced to loosen rules for bank lending, allowing bank loans to be made at a low bench-mark rate. Gold miner Newcrest gained 83 cents to $11.95 at the time of writing, while OZ Minerals was seen 36 cents higher to $4.51. Energy stocks were also seen higher, with Woodside rising with 50 cents to $38.23; Oil search advanced 9 cents to $8.23. 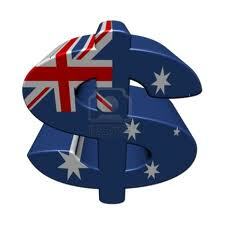 Miner companies BHP climbed 26 cents to $34.12 and Rio Tinto added 32 cents to $56.55. "Australian equities seemed more buoyant than most across the region today with broad based gains putting the ASX200 back in touch with the 5000 level," CMC Markets senior trader Tim Waterer said. "Losses on other indices across the region caused our market to relinquish some of the morning gains, though solid showings particularly from the key banking and resource stocks still ensured it was a sprightly start to the week for the local bourse." Other big movers were David Jones climbing 11 cents $2.57 and QBE gaining 35 cents to $16.50. Strong Bank performers were Westpac advanced 14cents to $29.40, ANZ climbed 9cents to $28.91 and Commonwealth Bank rose 42 cents to $71.88.